Summer Movie Preview Spectacular! Part One - "The Avengers," "Dark Shadows," "Men in Black," and more! This Friday, the summer movie season officially kicks off with the release of Marvel’s “The Avengers,” and it’s shaping up to be one of the most exciting film calendars in recent memory. To help you navigate the storm of blockbusters on the horizon, I’ve put together a comprehensive guide to all the major releases hitting screens over the next four months, publishing over three days exclusively on www.jonathanlack.com. Today, we’re looking at all the releases for the month of May, complete with posters, embedded movie trailers, and my thoughts on the hype behind each film. Come back tomorrow to continue through June, and we'll close everything up with July and August on Thursday! Summer kicks off with one of the biggest movies of this or any other year, and as you’ve probably heard, I think the film is absolutely fantastic, one of my two favorite films of 2012 so far. Not only is “The Avengers” a spectacularly satisfying pay-off to everything Marvel’s been building since “Iron Man,” but it’s also one the purest distillations of Joss Whedon’s incredible vision yet. A life-long comic book junkie and writer, his enthusiasm for the material comes through loud and clear in every frame; tonally, this may be the most assured, pitch-perfect superhero movie ever made, unashamed and positively celebratory of its absurd, brightly colored origins. But it’s more than just empty entertainment; Whedon’s script is bursting at the seams with wonderful character work, and the performances are spellbinding across the board. 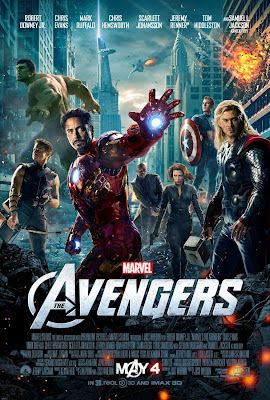 It’s almost unfair to kick off summer with “The Avengers,” because apart from a certain movie about a man in a bat suit, I highly doubt any film will come close to this one over the next few months. 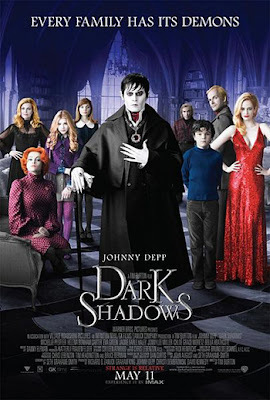 I was pretty severely disappointed by Burton’s tepid “Alice in Wonderland” adaptation, but “Dark Shadows” looks to be a strong return to form for a director who can be very hit-or-miss. He obviously has a lot of passion for the source material, the trailers showcase his patented visual style at its very best, and the cast is truly exciting. We don’t get nearly enough of the wonderful Eva Green these days, Chloe Moretz is one of the best young actresses to come along in generations, and I couldn’t be happier to see Pfeiffer and Burton reuniting for the first time since “Batman Returns.” Johnny Depp’s collaborations with Burton aren’t always cause for celebration, but he seems to be truly in his element as Barnabus Collins. Most importantly, what little we’ve seen so far indicates that this will be a unique, quirky experience that only Burton’s specific voice could deliver, and whether it succeeds or not, it will be worth a watch just to hear that voice again. I honestly can’t recall the last time I was this completely disinterested in a summer blockbuster. 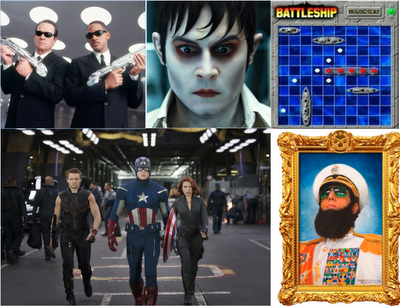 Not only am I not looking forward to “Battleship,” I don’t even have an ounce of curiosity about it. From everything I’ve read and seen, it looks like the watered-down version of a generic rip-off of Michael Bay’s laziest movie, but lacking even the spectacle (or train-wreck) qualities that sometimes make Bay’s films intriguing. 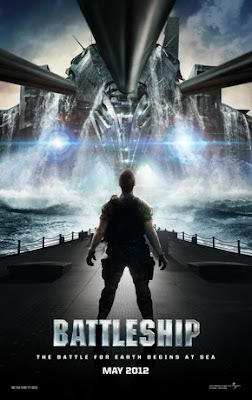 I don’t care for this type of film to begin with, but from the cast (after “John Carter,” I don’t need to see any more Taylor Kitsch at the moment) to the ‘plot’ to the visuals, “Battleship” just looks rote and tepid on every possible level. I don’t even understand why the studio wants to call this “Battleship” in the first place; I get the appeal of this genre to certain audiences, but when you stamp the title of a completely unrelated board game on the movie, it’s impossible for anyone to take it seriously. Every time I’ve seen the trailer, the audience has laughed out-loud and raucously at the title card, and that’s not a good position for the studio to be in. I predict this will be one of the biggest box-office bombs of the year. 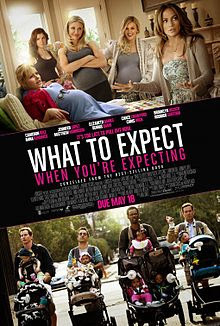 I have absolutely no intentions of seeing this movie, and I only put it on this list to highlight the absurdity of making a romantic comedy ‘based on’ a useful non-fiction pregnancy guide. Why? Just why? What creative or commercial appeal will this have? I suppose it was greenlit in the wake of “Valentine’s Day,” which made oodles of money out of putting as many semi-big-name stars as they could afford on the marquee, but “New Year’s Eve” tried the same thing and bombed spectacularly, and I see no reason why “What To Expect” will do any better, even as counter-programming. It doesn’t help that the film looks genuinely awful, and that the generic posters have nothing unique to sell beyond baby bumps and bad puns. I’m a bit concerned about the film’s box-office prospects, given what a busy time it’s hitting at, but I’m nevertheless psyched to see what surprises Cohen has in store. He’s an insanely talented performer, with dedication reminiscent of Peter Sellers, and I’ve loved much of his work so far; “Borat” in particular remains one of my all-time favorite comedies. 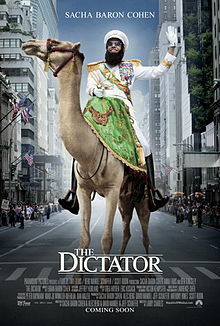 In “The Dictator,” he assumes the role of General Aladeen, a fictional tyrant who gets lost and abandoned in New York City. The mockumentary format that worked well for “Borat” and “Bruno” is gone this time, which seems like a wise evolution of Cohen’s style, and from what we’ve seen so far, this looks like a truly inspired comic character and a sharp piece of political satire. I’m definitely eager to check this one out. Is this franchise relevant anymore? That’s the big question surrounding the creative and commercial success of this long-delayed threequel, and from what we’ve seen so far, I’m having a very hard time getting a read on this one. On one hand, time travel seems like a smart direction for the series after the lazy structure of the second film, Josh Brolin as a young Agent K is wonderfully inspired casting, and I’m very excited to see what Jemaine Clement (of “Flight of the Conchords”) does as the film’s antagonist. On the other hand, the dull trailers haven’t gotten anyone excited so far, and with reports hinting at a disastrous production process – numerous rewrites, a long halt in filming to finish the script, a budget that quickly spiraled out-of-control, etc. – it’s easy to imagine the film failing to coalesce into anything interesting. Even if it does all come together, one has to wonder if Will Smith is still the box-office draw he once was, and whether the public is even interested in returning to this universe. We’ll find out soon enough. Wes Anderson is one of my all-time favorite filmmakers, so I would have great amounts of built-in anticipation for his latest project no matter what. 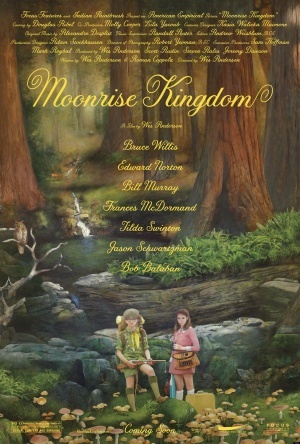 But “Moonrise Kingdom,” which actually stars two unknown child actors as a pair of young lovers who run away from their small New England town together, looks pretty intriguing no matter who’s directing. I can’t imagine anyone failing to get excited by the vast and talented ensemble, the tone appears to be offbeat and assured, and one can already tell that the visuals are marvelous; it looks like Anderson’s incorporated a lot of the aesthetic decisions from “Fantastic Mr. Fox,” which itself was based around earlier live-action productions. To my mind, Anderson hasn’t made a disappointing film yet, and I highly doubt “Moonrise Kingdom” will be his first. I can’t wait to see what he has in store. Which movies are you most excited for? Do you agree or disagree with any of my assessments? Sound off in the comments! "Moonrise Kingdom" looks /fantastic/, and considering I had never heard of it until this moment, I'm very glad I read this article today. 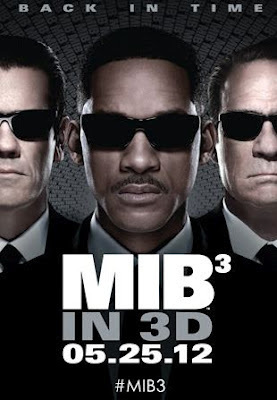 Excited about "The Avengers," and will probably see "The Dictator," and "Men In Black 3" (mostly just for Jermaine Clement). However, I'll probably wait on the others until they come to my local public Redbox.